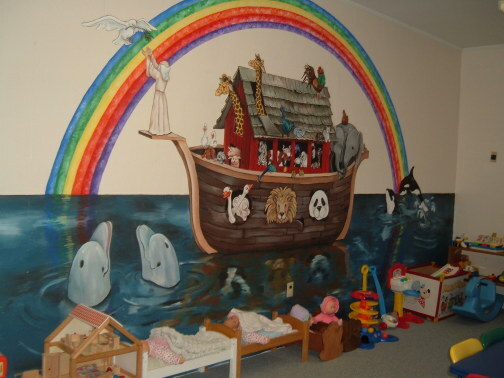 A nursery is available for the youngest children (newborn through three years) during Sunday morning classes and worship services. 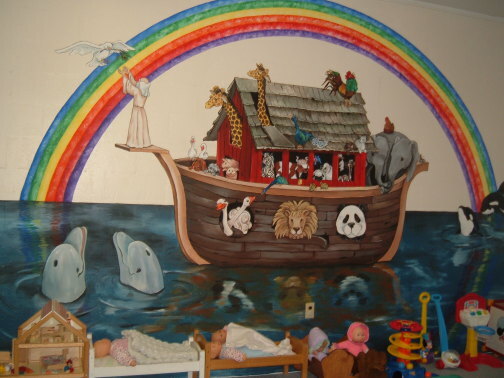 The large colorful scene of Noah's Ark and the animals is painted on one wall of the nursery. 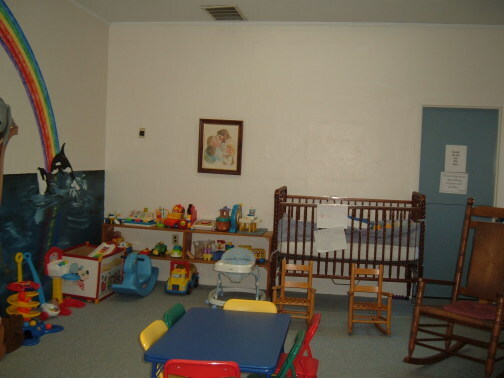 The nursery contains a baby bed plus dolls, trucks and toys for the children. 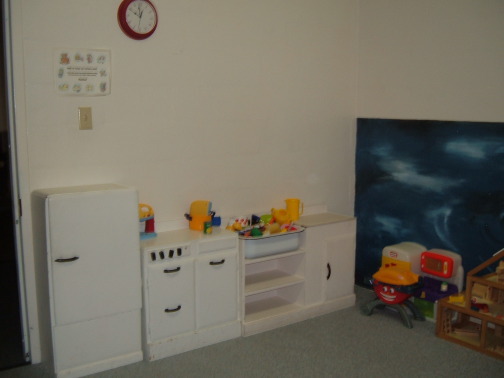 The nursery also has a play refrigerator, stove, sink and cabinet with dishes for the children to play "pretend". The children are supervised and cared for by an adult during both Sunday Bible Study classes and the Worship Service.